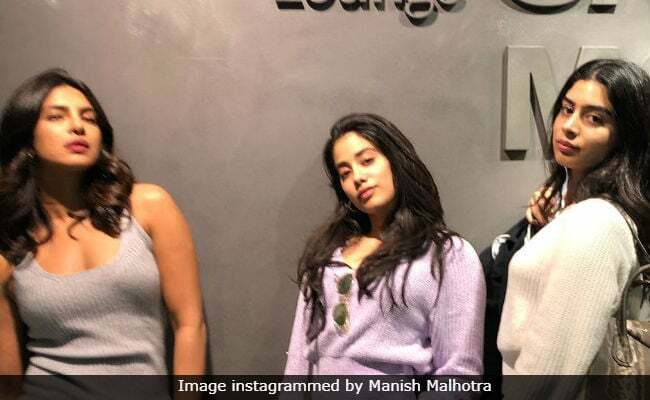 A picture of Priyanka Chopra, Janhvi Kapoor and her sister Khushi's taken at the Milan airport recently is giving the Internet some serious fashion goals but this story doesn't end on their 'stylish meets comfy' travel wardrobe. Surfing through Priyanka and Manish Malhotra's Instagram pages, we learnt that the designer doubled as a fashion photographer for Priyanka and Janhvi on their recently trip to Italy and he did a pretty good job too. 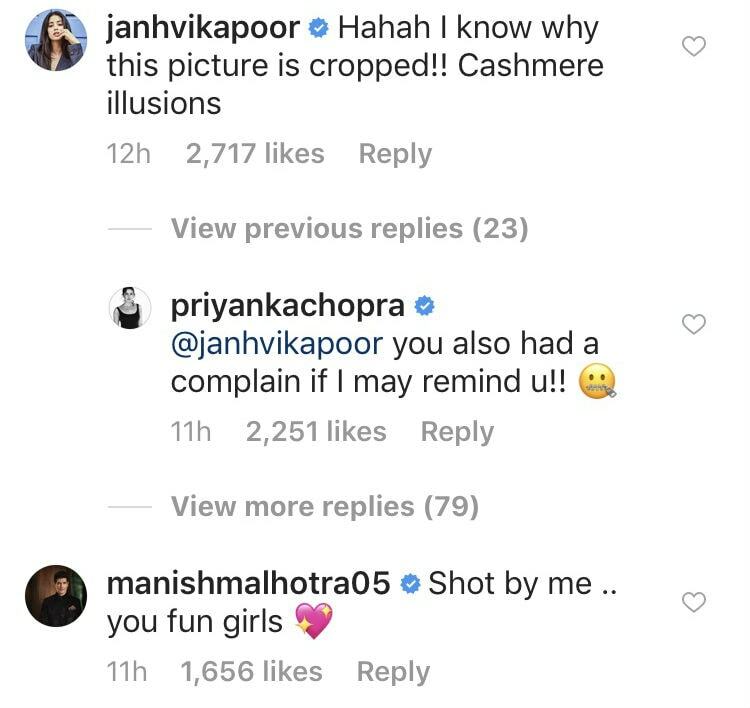 Priyanka instagrammed the said picture on Tuesday night, for which Manish demanded image credit and when Priyanka did not edit the post, Manish posted another photo of the trio in an almost similar pose on his Instagram page. Manish Malhotra captioned it: "When you make the fun girls give the attitude pose." We think Manish Malhotra will make a fine fashion photographer too. Manish Malhotra aside, Janhvi too had inputs for the post. She wrote on Priyanka's post: "Hahaha... I know why this picture is cropped. Cashmere illusions." Priyanka replied: "Janhvi Kapoor, you also had a complain if I may remind you." Priyanka and Janhvi are up to something and we're curious. Priyanka also logged some nice and bright pictures from her extended stay in Italy; Image courtesy, once again, Manish Malhotra. This proves, Manish Malhotra's has what it takes to be a world-class fashion photographer. Over the weekend, Bollywood celebrities converged in Italy as the guests of the Ambanis to attend Isha Ambani and Anand Piramal's two-day engagement bash in Lake Como. Priyanka Chopra attended the pre-engagement party on Saturday along with Nick Jonas. Janhvi and Khushi Kapoor were also joined by their uncle Anil Kapoor, and cousin Sonam and her husband Anand Ahuja. On the engagement ceremony on Sunday we spotted Aamir Khan with his wife Kiran Rao and filmmaker Karan Johar. Priyanka Chopra, Janhvi Kapoor, Khushi and Manish Malhotra returned to India earlier this week. Priyanka is expected to resume filming Shonali Bose's The Sky Is Pink during the stay in India.